George: “My dear fellow, I haven’t thought of buying a car since they stopped making cars”. George’s wife loved the new Ford Capri. George, of course, did not. 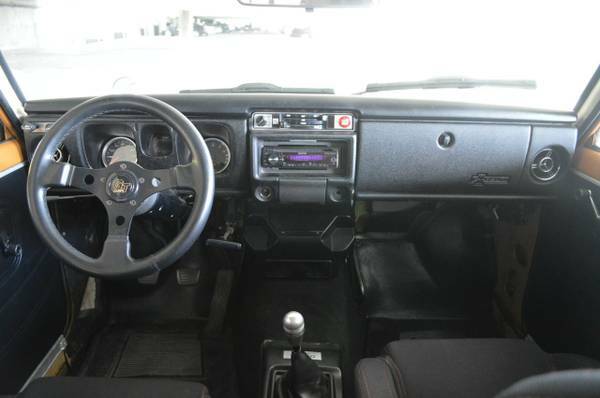 Anyway, I took delivery of a slightly modified new Datsun 1600 and took it just over 400 miles away to the outback mining town where I would be spending the next three years. The Datsun pretty quickly acquired new larger wheels and tyres, a front spoiler to keep the front end down, especially when running into the slipstream of on-coming road trains, spoilered windscreen wipers to keep them on the windscreen at speed and some extensive headlight mods, Quartz Iodine headlamps, the inner main beam headlights replaced by aircraft landing lights plus a couple of Marchal driving lights to light up the retina of any kangaroos that might happen to hop in front of the car on those long and lonely outback roads. 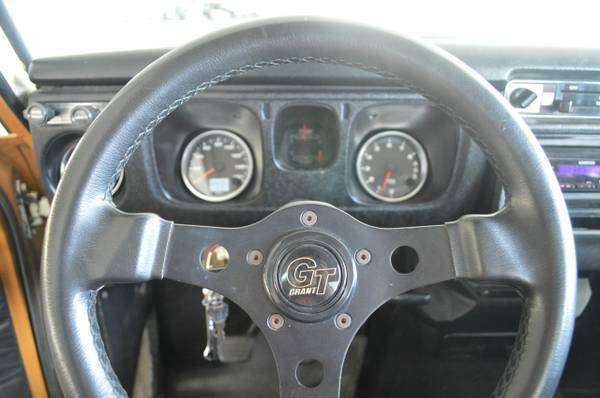 The engine and drive train I kept standard partly because the Datsun 1600 would outperform a Lotus Cortina in stock standard configuration and partly because I needed reliability more than I needed a bit more acceleration or top speed. Top speed on the stop watch was 108mph which put it almost into the Austin-Healey class anyway. Inside the car, in addition to a fire extinguisher I re-did the dashboard such that friends told me it had a cockpit like a Boeing 707. I added a tachometer, oil pressure gauge, vacuum gauge, ammeter and volt meter, and a radio for those long lonely night drives. In fact whenever I hear the song “Horse with no name” by America it just takes me back to those night drives and I can smell the dust and the bush. 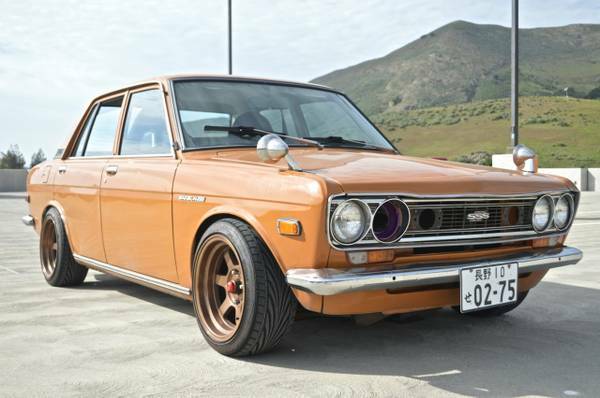 That Datsun 1600 proved its worth. It was a car that just glued itself to the road and was nicely stable on rough roads and corrugations, it’s fully independent suspension worked wonderfully. I’d tend to take its attributes for granted until I got to drive someone else’s car from time to time. The Ford Falcons, Holdens and the Chrysler Pacer a friend had would all have a feeling of floating as the speedometer wound its way to its upper reaches, except for the GT version of the Falcon which did glue itself to the road despite its live axle, leaf spring “horse and cart” back axle. 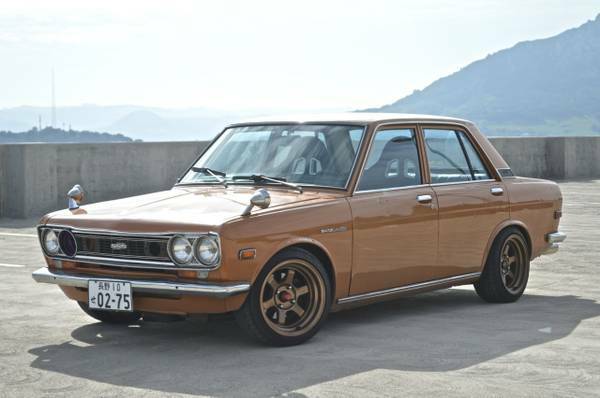 So when I saw this rather heavily modified “Datsun 1600” on bringatrailer.com it just took me back into some fond memories of my old car. This car is rather more modified than mine was. Mine had a lot more light power on the front end to see the “hoppers” before they found their way through the windscreen and into the back seat, but I think I would have liked to re-model my old Datsun up to the standard of this one. 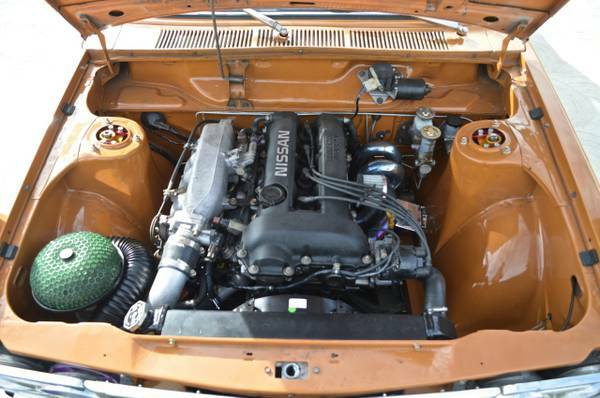 This is an engine I would have liked in my old Datsun. All electrical functions are operational including the infamous dome light! So, if you’re looking for an affordable project car that’s going to be a fantastic little performer and fantastic fun to drive then this one might just be for you.